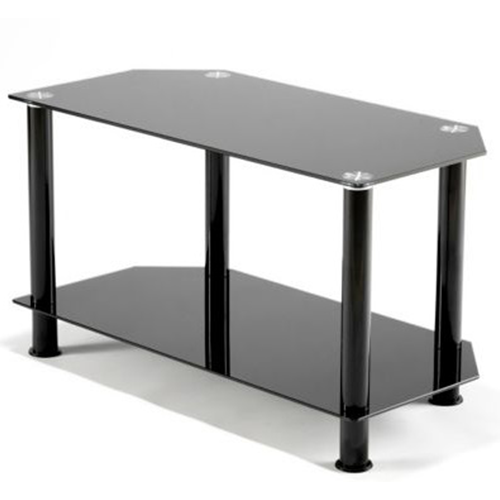 Hugo Black TV Stand features 2 toughened safety glass shelves with a maximum screen weight of 30kg. 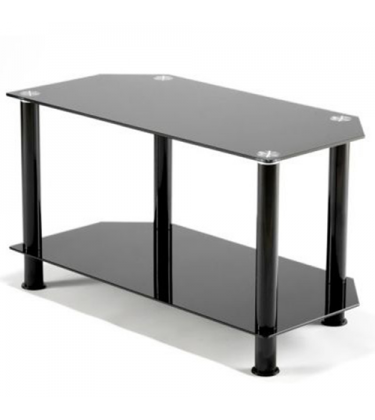 Two shelves, ideal for your TV, DVD player and Digibox. Cable management helps to keep the cables neat and tidy.